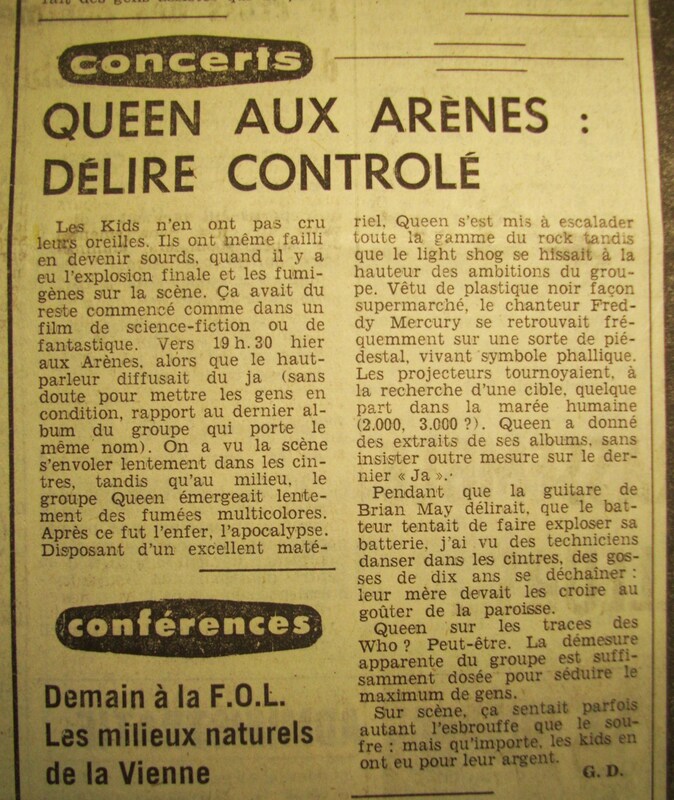 It seems that Queen archivist Greg Brooks had access to a copy of a soundboard tape of this show, as he transcribed some stage banter for his revised Queen Live book. Bits of the soundcheck and Let Me Entertain You were shown on French TV, as well as interview footage. Brief snippets of We Will Rock You and We Are The Champions are near the end of the TV spot. Like the Madrid footage from a couple days earlier, the band probably made a deal with the TV station allowing them to film the first few and last few songs of the show for promo purposes. Here is a review of the show in French, submitted by Julien Cohen.